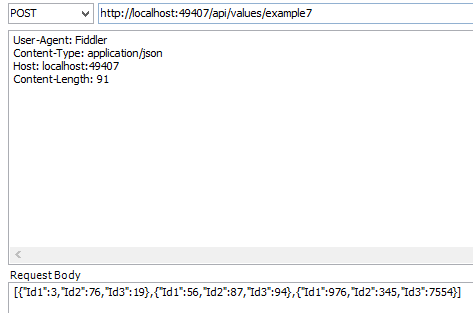 This article demonstrates how to call or map Web API methods with different types of parameters using XML, Json and Urlencoded formats. 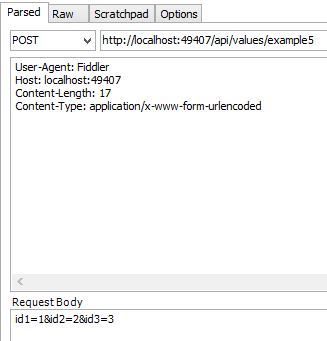 It shows how simple parameters, objects parameters and array parameters can be sent either in the body of the Http request or in the Url itself. This all works per default in Web API and if that’s not enough, you can customize it yourself. This is a little bit different to the previous examples. The body can only send one single object to Web API. Because of this, the lists of objects are wrapped in a list or a parent object. What if the default parameter binding is not enough? Then you can use the ModelBinder class to change your parameters and create your own parameter formats. You could also use ActionFilters for this. Many blogs exist which already explains how to use the ModelBinder class. See the links underneath. 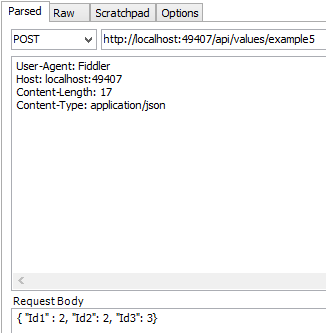 Files or binaries can also be sent to Web API methods. The article demonstrates how to do this. Thanks. I’ve been trying to get this FromBody binding to work. Hi Rico, post you code on github or stackoverflow or an example like your code , the examples on asp.net should work. I downloaded the code sample from ” https://github.com/damienbod/WebApiParameters“. I tried Run the project, but Example 6: Sending a simple list in the Url is not able to send the List data using Get Method.Can we send the list data using URL. thanks very much. 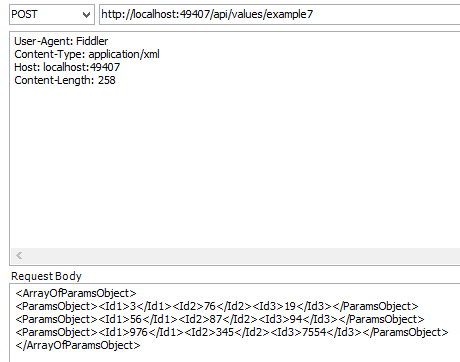 I was looking for the ways of mapping request param in xml format to object within my API. When I updated the Global.asax file as you suggested then it worked fine. Now I have a question. 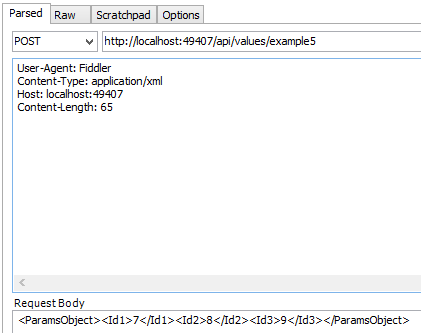 What if the xml nodes come with attributes, how those attributes are getting mapped to the object elements?